No sign up or reservation required. 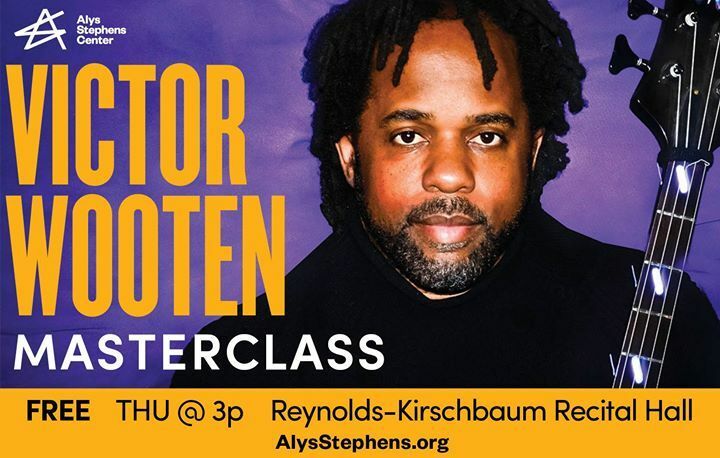 The master class will feature the Victor Wooten Trio: Victor Wooten (bass), Dennis Chambers (drums) and Bob Franceschini (saxophone). Victor Wooten is a 5-time GRAMMY winner, a founding member of the GRAMMY award-winning band Béla Fleck and the Flecktones, the only multiple winner of Bass Player Magazine’s reader’s poll (3 times), voted one of the top ten bassists of all time by Rolling Stone Magazine, and having won just about every award awarded to a bassist. His trio mates include drummer Dennis Chambers, mostly known for his fast hands and triplets on the bass drum and saxophonist, songwriter, and arranger Bob Franceschini.